You can download Pokemon Go 1.7.0 for iOS, 0.37.0 for Android which brings with it a lot of new changes and features. Here are the full details. Great news Pokémon Go Trainers. Niantic Labs has just issued a major update to the Pokémon Go game for the Android and iOS operating systems. One of the great things about the smash hit title is that it has consistently been updated since its release, with some updates being pushed out to fix bugs and offer performance improvements, and others introducing exciting new functionality to keep gamers coming back for more, such as recently introduced Pokemon Go Appraisal feature in last update. This latest update tops that in bringing some exciting new feature, along with bug fixes. Version 0.37.0 for Android and 1.7.0 for iOS goes way above and beyond just fixing some of the more notable bugs in the game by introducing a brand new feature called Buddy Pokémon as had been suggested a few days back. Trainers who take a serious interest in the game can now choose one of their captured Pokémon to be their buddy. 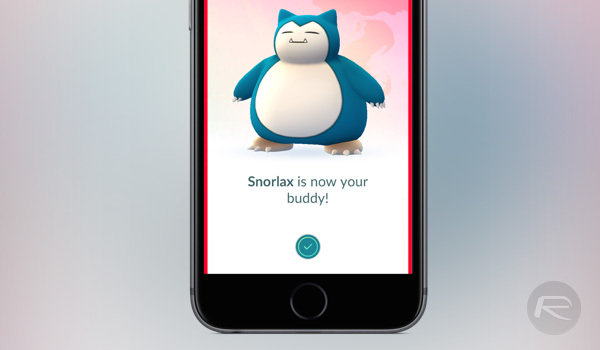 Like in the television series, where you see Ash Ketchum walking around with his beloved Pikachu, the new Buddy feature allows Trainers to earn Candy for their Buddy Pokémon just by having the app open and covering ground by walking about. In addition to this, Niantic has also bundled in a number of fixes with these latest updates. Changing hit spots and interaction detection makes it easier for gamers to select smaller Pokémon when they appear on the screen. There’s also the introduction of an animation fix that now ensures all hatched eggs don’t miss displaying the animation when the relevant distance has been covered to force the egg to hatch. It’s not exactly exciting from a gaming perspective, but there is also a network-related fix in place which now means a device can switch between Wi-Fi and cellular networks without actually causing Pokémon Go to crash or hang indefinitely. 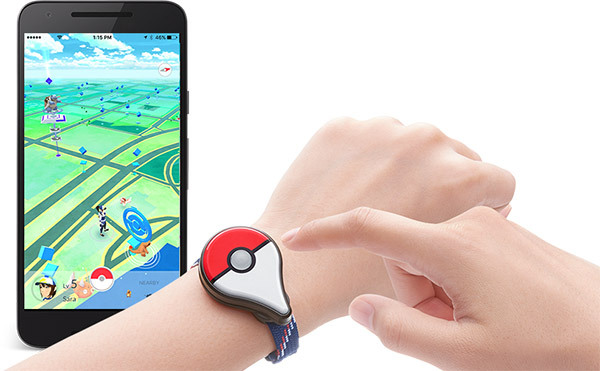 Finally, from a feature and fix perspective, Niantic has also included support for Pokémon Go Plus, which is the accompanying wearable that will go on sale this coming September 16th. The official release notes also seem to suggest that Niantic is looking to crackdown on those cheating within the game, with the proclamation that they are continuing to “focus on eliminating bots and scrapers from Pokémon GO”, as well as a reminder that gamers should be downloading the title from the official app stores rather than installing a hacked version. If you are cheating or using additional functionality in the game, then be warned that your account could be suspended. Rooted Android, and jailbroken iOS devices, are also not supported according to the official changelog. iPhone and Android users can download the update right now from the App Store and Google Play respectively. Xiaomi 3s prime. Lost my iPhone 5, it died at a repairing shop. Hmmm hasn’t been pushed to the Canadian App Store yet, still on 1.5.0. Still don’t see it in Florida, USA. I can’t use it. iPhone here. Thank you anyways, though! Is there some way to force the update? What countries already have the update? Can we get the iPhone ipa file from a user in one of these countries? Looks like Apple will wait to drop the update with the release of iOS 10. STILL no iOS version in the USA. Doesn’t Redmond Pie read these comments? The article needs to be corrected. Obviously the author skipped fact-checking in favor of hits. Has anyone else Noticed that Pokemon GO 1.7.0 on iOS crashes if you have Poke Go ++ installed? I have Poke Path installed so this shouldn’t happen unless they have new jailbreak detection code in the latest release.